Exercise Science is the study of the physiological responses and adaptations to exercise. This program offers specializations in three areas: Strength and Conditioning, Clinical Specialist, and Research. Coursework is designed to aid students in the preparation for graduate school and nationally recognized certifications, including those offered by the American College of Sports Medicine and National Strength and Conditioning Association. Instruct patients, clients, and athletes as to the proper procedures for performing self-administered fitness tests and assessing their readiness for physical activity. 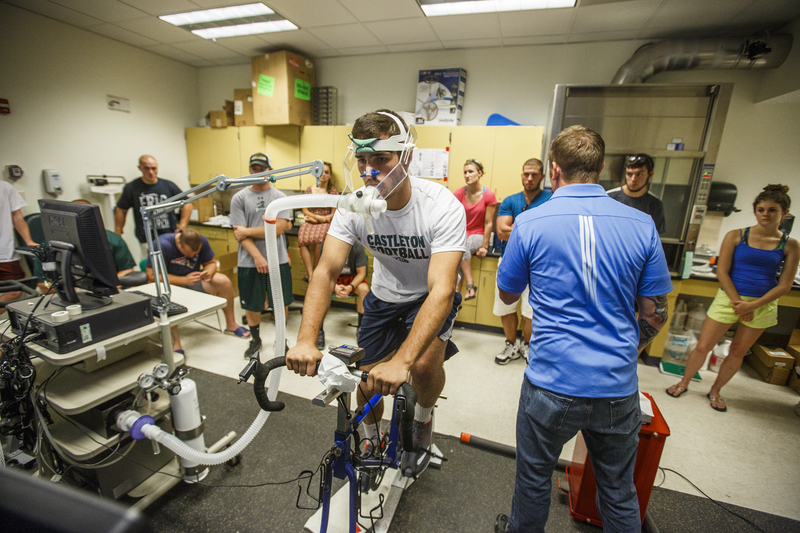 -Students in the Exercise Science Program must maintain a minimum cumulative GPA of 2.50. -Students in the Exercise Science Program must earn a minimum grade of "C" in BIO 2011 and BIO 2012. Students who earn a grade lower than a "C" in BIO 2011 and/or BIO 2012 will not be allowed to sequence into post-requisite course work until the prerequisite deficiency has been rectified.